© Department of Ecclesiastical Affairs, government of Sikkim. There are many natural lakes in Sikkim mostly situated in North-West, North-East and in extreme North Sikkim. Most of them are the sources of the tributary streams to the Sikkim’s biggest River Tista (Tashi Drak) and Rangit (Rang-Nyet). Many lakes are considered to be the abodes of various local guardian spirits such as Devas, Yakshas, Nagas, Nymphs and Demons, and many ascribed to numerous Tantric deities. 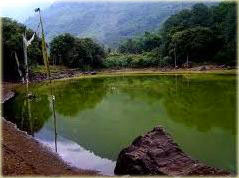 As per Naysol Text , there are 109 sacred lakes ascribed to various protective Deities. Sacred nomenclatures of the lakes were given mostly by Sikkim’s pioneer lama Latsun Chenpo and his third successor Lama Jigmed Pawo in 17th to 18th century A.D. Due to political demarcation of the land with neighboring countries in the later eras some of the sacred lakes of Dejong are presently fall in Nepal side in west and some of them fall in China Tibet territory in North & North-Eastern side border. Information about the location of lot of the Sacred Lakes with reference to Naysol text was given by Lt. Khenpo D. Dorje of Phensang monastery and Lt Lachen Gomchen Rinpoche of Lachen Monastery, North Sikkim. Government of Sikkim notified some important sacred spots in 2001, vide Notification No.70/HOME/2001 dated 20.09.2001, which includes some of the sacred lakes that identified. But many remained unidentified owing to their location in inaccessible places or in the unknown places. The precise names of the most of the lakes that are situated in inaccessible places are still unknown. Some of them are nicknamed by Yak herders or by the Army battalions camped in the border areas. It is difficult to identify other sacred lakes located in the north-eastern border areas with reference to the number 109 sacred lakes recorded in the Naysol Text. Guru Dongmar Lake, situated at an elevation of 5,154 m or 17,000 feet, near Mount Khang-Chen Gyao, North Sikkim, is named after the visit of Guru Padma Sambhava in 8th century A.D, who was a founder of Tibetan Buddhism. 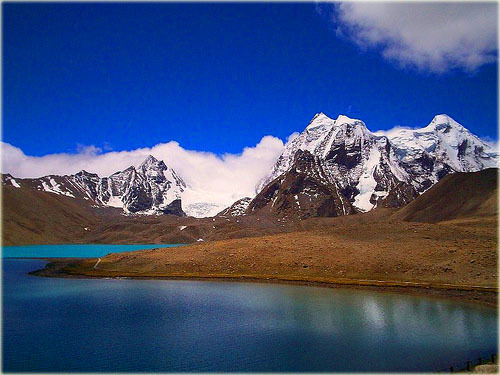 This Lake is included in 109 Tshochen or major Lakes of Sikkim as per ‘Nay-sol-Text’. Guru Padmasambhava is popularly known in Sikkim as “Guru Rinpoche”. Padmasambhava first came to Guru Dongmar Lake as the word- ‘Dongmar Shap Chakpa’ refers to his first visit to this place. There, he examined an omen in the lake and found auspicious to enter into the heartland of Demojong (Sikkim). Guru recognized this Lake as a part of the places of worship of famous Dorje Nyima or Chhoedten Nyima holy place situated northern border of Sikkim. This lake is a landmark of northern door to enter into the Hidden Land of Demojong. This historical fact was confirmed based on the write up given by late Lachen Gomchen Rinpoche, who was spiritual Head of the Lachen Monastery, North Sikkim. According to Rinpoche, this lake has been clear like sky with almost visible basin since the last 40years. The Rinpoche further said that it grants boon to any expecting woman. Later, the colour of the lake gradually became whitish due to defilement by human interference. The Lake appears smaller from the place where devotees offer prayer but takes two hours to circumambulate it since its upper portion which is quite wide is hidden behind the hill. As per the official record, the Army Sikh regiment deployed at the Indo-China border in North Sikkim constructed a structure called- ‘Dharmasthal’ about the year 1997-98 on the lake shore as a shrine of Guru Nanak as they mistook Guru Padmasambhava to be Guru Nanak a celebrated Saint of the Sikh Faith. This illegal development angered the local Buddhist devotees visiting the site. On constant complaint of the local residents, the government of Sikkim initially constituted a high level Committee for submitting a report about the status of the Lake. In the light of a written document furnished by Namgyal Institute of Tibetology, Gangtok the Committee submits a report establishing a fact that it was undisputedly a Buddhist Place of Worship and nothing to contradict by Sikh Faiths. Following which the matter was settled amicably between Army personnel and people’s representative of Lachen Monastery followed by handing and taking over on 6th July 2001 in presence of the Government representatives including Sub Divisional Magistrate, Chungthang, North Sikkim. Thereafter, a Chowkidar lama has been appointed by Ecclesiastical Affairs Department for taking care of this lake. Today, this lake has become one of the most visited places in Northern Sikkim. In Sikkim, Holy Lakes are revered as abodes the of Gods, Nagas and Yakshas, and whoever seeks blessing with devotion are granted definitely. It is not needed to construct an extra place of worship of one’s faith nearby the lakes for obtaining blessing. .
Tsho Lhamo Lake is located at a place few kilometers away from Guru Dongmar Lake near Donkhyala pass at an elevation of 5,100 meter in North Sikkim. It is worshipped by the Yak Herders as a Goddess Lake. ‘Tsho’-means Lake and ‘Lhamo’ means- Goddess, or the lake of our Lady or Goddess as recorded in the gazetteer of Sikkim. The visitors can enjoy the charm of its colour which changes frequently along with the course of the wind and Sun light.The name of this lake is often mispronounced as ‘Cholamu’. Tshomgo Lake is situated on the way to Nathula pass at an elevation of 4,045 meters. 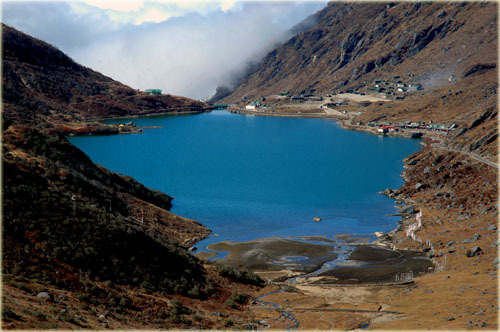 The original name of the Lake, as per local gentries of the Pathing area, east Sikkim is “Tanyek Tsho”. According to them a saying goes like this:- “SHAH BYITHANG TSHO, NUB - TANGYEK TSHO” ‘Shah Byidang Tsho’ means- ‘lake of cow Yak’s plain in East’, which is said to be present bigger lake at Kupup which was nicknamed by the Army as “Elephanta Lake”. ‘Nub Taneyk Tsho’ means-‘Horse-tailed lake in West, which refers to present Tsomgo Lake. the gazetteer of Sikkim it is recorded as "Tanitzo= Tanyektsho, the lake of the horse-tail or the horse hair noose". The present name ‘Tsomgo’ is derived from the word ‘,Tshom-goh’ which means- above the lake, where Yak Herders used to dwell at a place little above the Lake and their address took the name of the lake. The Lake, however known today as “TSOMGO LAKE” and became one of the tourist destinations. 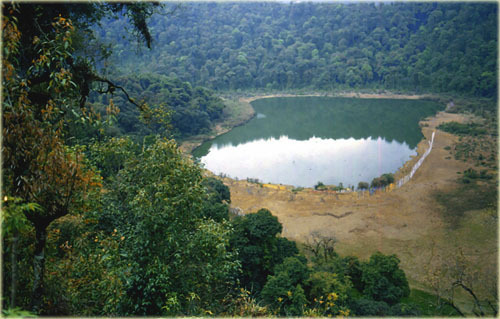 The Tsomgo Lake is about 1 km long; oval in shape, 15 meter deep and is considered sacred by the local people. This placid lake remains frozen during the winter months up to mid May during which visitor get an opportunity to experience snowfall. In History: Sikkimese folk-Lore tells the story of how Tsomgo initially at Laten, several kilometers away from the present place, came to form present ‘Tsomgo Lake’. An old women, one night dreamt that the lake at Laten was to shift to Tsomgo and she and her two other herder friends were warned to leave the place as soon as possible. The old lady hastened to inform her friends but they paid no heed. In turn, she hurriedly milked her Dri (female Yak) and poured the milk on the ground, as an auspicious sign to greet the lake and left the place. Just before leaving, she happened to see an old lady with strikingly white hair and of fair complexion that was carding yarn, entered into the ground where immediately after the earth turned into water and thus formed this huge Lake. The two yak herders are believed to be sub-merged in the lake along with their herd of yaks. Soon the old lady's incident spread in nearby village and people talk about the newly formed lake and said that “Coming of a Lake in their area is a good omen and the lady with white hair is a water Nymph who favours Yak Herders". Since then worship of this Lake began and sanctity of the Lake has been maintained by the locals. 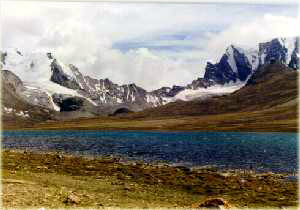 Khachoedpalri lake is situated in west Sikkim. The approach road to this lake bifurcates from Pelling- Yuksam road. Khachoedpalri now a day became one of the most important visiting places in Sikkim for the pilgrims as well as for tourists. Legend has it that once it was simply a grazing ground for the cattle abounded with stinging nettles and the primitive Lepchas use their fibers for making multiple articles like ropes, bags, wrapping clothes etc. One day as usual, a Lepcha couple while peeling off the barks of the nettle heard a strange sound from the sky above and saw a pair of conch-shell flying towards them. To their utter surprise the Conch-shell entered straight into the ground nearby them. Another surprise shook them when the whole ground vibrated and immense spring of water engulfed the ground and formed a huge lake. Poor couple, in embarrassment, lost their life. According to oral tradition, one conch shell have come from Yuksam, which was earlier known as ‘Lhatsun Lahtsho’ or Soul- Lake was later dried out due to pollution by human habitants and other conch came from the place called ‘Tshokam’ near Lingdam, south Sikkim, which was also dried out due to similar fate. In Later Buddhist Saints sanctified this lake and gave it a sacred name as ‘Khachoedpalri’(mKha-sPyod-dPal-ri) which means “mountain of blissful heaven” and recognized it as an abode of ‘Tsho-sMan Pemachen’ the protective Nymph of the Buddhism. There is a religious belief that Goddess Tara also resides on the hill-top above and the shape of the lake appears like a foot print of the Tara when seen from the air. This site was also consecrated by Guru Padmasambhava during his travel to this zone. Old record reveals that High lama forecast the coming year events on the basis of the observation of the colour of the lake annually. Kathok Lake is situated on the way to Norbugang Throne in Yuksam, west Sikkim there is a beautiful sacred Lake known as ‘Kathok Tsho’ or Kathok Lake. This Lake is regarded as the ‘Lahtsho’ or soul lake of Lama Kathok Kuntu Zangpo, one of the pioneer lamas who introduced Buddhism to this land in 1642 A.D. He sanctified this lake for the purpose of his oracular practices. Lamas perform Tru-sol or purification ceremony every year to retain its sanctity. A newly restored monastery named as ‘Kathok Wosel Ling’ is located above this lake.